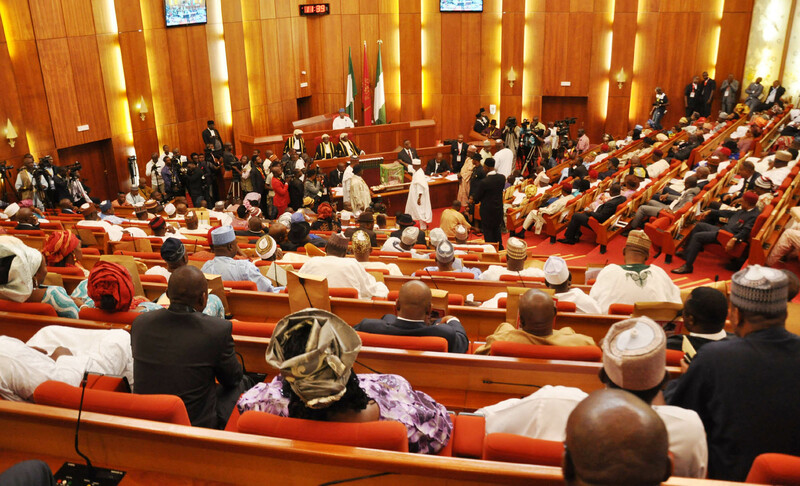 Senate resumes plenary with new mace – Royal Times of Nigeria. The Senate has continued with the day’s plenary. Another mace has been placed where the previous one was snatched from. The Senate is currently considering the Electoral Act 2010 Amendment Bill for second reading. The bill, among others, seeks to reshuffle the order of polls in a general election, a proposal that had generated controversy particularly in the Senate. The proposed bill was one of the reasons why Senator Ovie Omo-Agege was sent on six-month suspension. The Senate had suspended Senator Ovie Omo-Agege for 90 days (six months) over his comment that the amendment to the Electoral Act 2010 to reorder the sequence of polls in a general election was targeted at President Muhammadu Buhari. It was reported that invaders had fled the National Assembly Complex premises in a Sports Utility Vehicle accompanied by two pickup vans. The lawmakers resumed plenary after coming out of an Executive (closed door) Session where the earlier incident of forceful removal of the mace was deliberated upon.